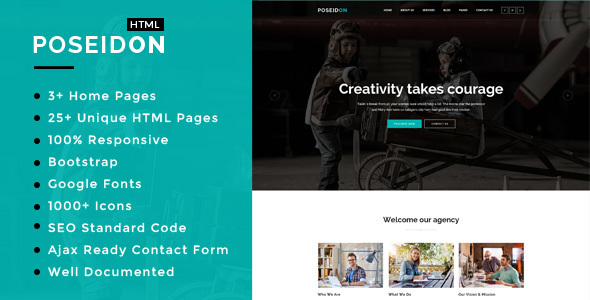 Poseidon – Multipurpose Responsive HTML5 Template is a Powerful, Responsive & Raw Multi-Purpose HTML5 Template. Build whatever you like with this Template. Be it Business, Corporate, Portfolio, Agency, Personal, Blog, Agency, corporate, modern just everything is possible with Poseidon. it is this huge. Amazing flexibility, Try out the demo.